Martina lives with her 2 dogs in a van and is on a world trip. In her blog on youtube, instagram, facebook & her website she shows her Vanlife as a digital nomad. Prior to that she had for 3 years her own vegan microbistro „DELICIOUS“ in a very hip & popular location in Vienna right on the Naschmarkt, an absolute popular mainstream area, super frequented, full of non-vegan restaurants, a hotspot in Vienna in the center of the city, with 100% vegan, creative, modern, really healthy & natural food with smart & pure ingredients, all completely gluten and sugar free. Only her selfmade vegan Pizza with her own Cashewmozzarella was with wheat Flour. Also raw vegan food, bowls, superfoods, smoothies, raw food cakes, iShe wanted to spread the vegan message in this high-traffic area. 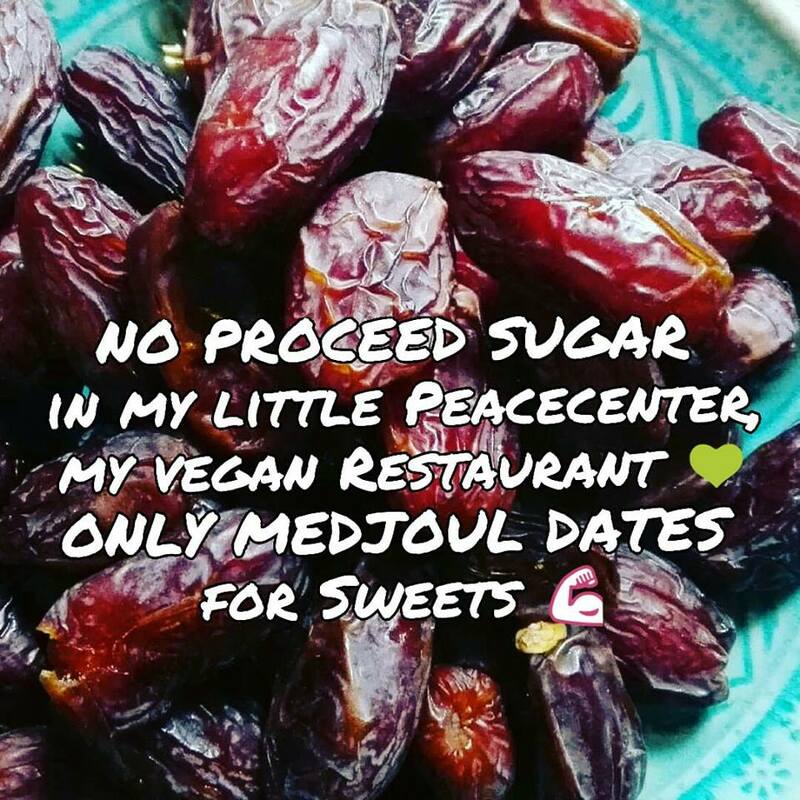 And she wanted to bring people closer to the new modern, creative and very healthy vegan food. After 3 years at the Naschmarkt she moved to the van. Martina Luke lives „vegan straight edge“ (vegan, no alcohol, no cigarettes, no drugs, no chemistry). With her cookbook, You Tube Channel, facebook & Instagram site, her former bistro, online courses & workshops, she also wants to reach more people in demanding, healthy and ethical ways. You can follow her here and learn from her two online courses „my own restaurant“ or „inspire“. Martina wants to support people with their two online courses who want to be self-employed, so that you spend your time and money on really important things and also prepare well for specific situations. Previously, she was a realestate agent for 20 years, after the brokerage exam also with her own company and incidentally always a waitress. Martina vive con i suoi 2 cani in un furgone ed è in viaggio per il mondo. Nel suo blog su youtube, instagram, facebook e sul suo sito web lei mostra Vanlife come un nomade digitale. In precedenza ha tenuto per 3 anni il suo microbistro vegano „DELICIOUS“ in una location molto alla moda e popolare a Vienna proprio sul Naschmarkt, una zona mainstream assolutamente popolare, super frequentata, piena di ristoranti non vegani, un hotspot a Vienna in il centro della città, con cibo 100% vegano, creativo, moderno, veramente sano e naturale con ingredienti intelligenti e puri, completamente senza glutine e senza zucchero. Solo la sua pizza vegana selfmade con la sua cashewmozzarella era con farina di grano. Anche cibo crudo vegano, ciotole, superalimenti, frullati, torte di cibi crudi, Volevo diffondere il messaggio vegano in questa zona ad alto traffico. E lei voleva avvicinare le persone al nuovo cibo vegano moderno, creativo e molto sano. Dopo 3 anni al Naschmarkt si è trasferita al furgone. Martina Luke vive „vegan straight edge“ (vegan, niente alcool, niente sigarette, niente droghe, niente chimica). Con il suo libro di cucina, You Tube Channel, il sito di Facebook e Instagram, il suo ex bistrot, corsi online e workshop, vuole anche raggiungere più persone in modi esigenti, sani ed etici. Puoi seguirla qui e imparare dai suoi due corsi online „il mio ristorante“ o „ispirare“. Martina vuole supportare le persone con i loro due corsi online che vogliono essere autonomi, in modo da spendere tempo e denaro per cose veramente importanti e anche prepararsi bene per situazioni specifiche. Precedentemente, è stata un agente immobiliare per 20 anni, dopo l’esame di intermediazione anche con la propria azienda e incidentalmente sempre una cameriera. Martina lebt mit ihren 2 Hunden im Van und ist auf Weltreise. In ihrem Blog auf Youtube, Instagram, Facebook & ihrer Website zeigt sie ihr Vanlife als digitale Nomadin. Zuvor hatte sie 3 Jahre lang ihr eigenes veganes Microbistro „DELICIOUS“ in einer sehr angesagten und beliebten Lage in Wien, direkt am Naschmarkt, einer absolut beliebten Mainstream-Gegend, sehr frequentiert, voll mit nicht-veganen Restaurants, einem Hotspot in Wien im Zentrum der Stadt, mit 100% veganen, kreativen, modernen, wirklich gesunden und natürlichen Lebensmitteln mit intelligenten und reinen Zutaten, die vollständig gluten- und zuckerfrei sind. Nur ihre selbstgemachte vegane Pizza mit ihrem eigenen Cashewmozzarella bestand aus Weizenmehl. 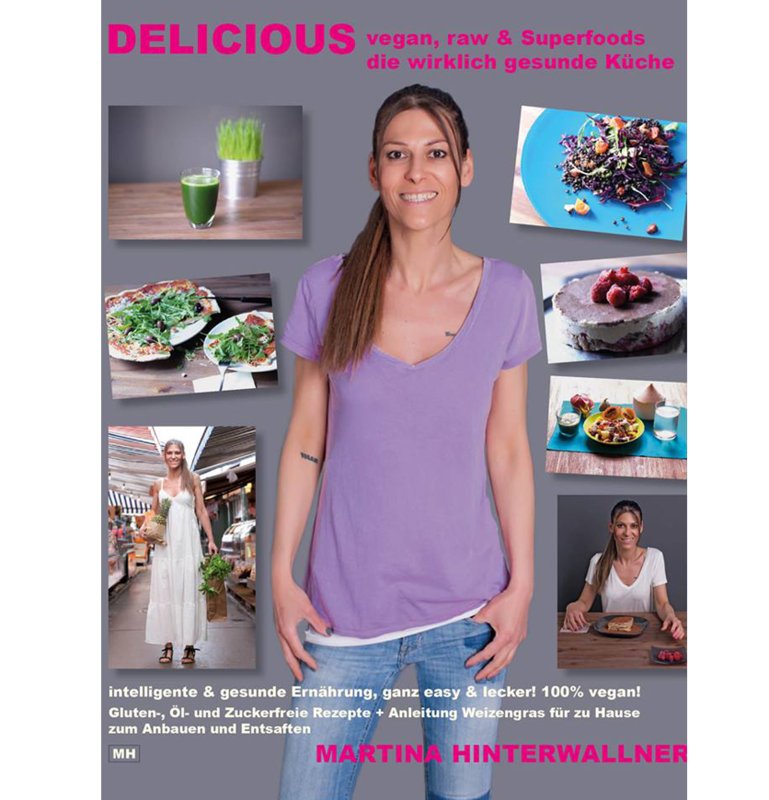 Auch rohes veganes Essen, Bowls, Superfoods, Smoothies & Rawcakes. Sie wollte die vegane Botschaft in dieser stark frequentierten Lage verbreiten. Sie wollte den Menschen das neue moderne, kreative und sehr gesunde vegane Essen näher bringen. Nach 3 Jahren am Naschmarkt zog sie in den Van. Martina Luke lebt „vegan straight edge“ (vegan, kein Alkohol, keine Zigaretten, keine Drogen, keine Chemie). Mit ihrem Kochbuch, You Tube Channel, Facebook & Instagram Seite, ihrem ehemaligen Bistro, Online-Kursen & Workshops möchte sie auch mehr Menschen auf anspruchsvolle, gesunde und ethische Weise erreichen. Sie können ihr hier folgen und von ihren zwei Online-Kursen „Mein eigenes Restaurant“ oder „Inspirieren“ lernen. Martina möchte Menschen mit ihren zwei Online-Kursen unterstützen, die sich selbstständig machen möchten, damit Sie Zeit und Geld für wirklich wichtige Dinge investieren und sich auch auf bestimmte Situationen gut vorbereiten können. Zuvor war sie 20 Jahre als Immobilienmaklerin tätig, auch mit ihrer eigenen Firma und parallel immer Kellnerin.